Join Nathan and Alex as they discuss Sonic Healthcare, Challenger Financial, Baby Bunting, Noni B, ARQ (Melbourne IT) and what matters when buying LICs. Skin in the Game is a weekly podcast by InvestSMART with Portfolio Managers Nathan Bell and Alex Hughes. Each week they chat about stocks in the news, economic events, markets, portfolio management and holdings and changes in their respective portfolios. 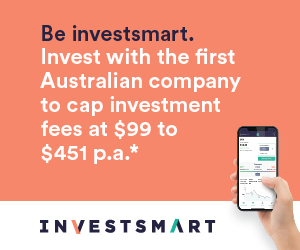 If you have any questions you would like answered in future episodes, please send us an email to skininthegame@investsmart.com.au or add a comment below. Start a free 15 day trial and gain access to our research, recommendations and market-beating model portfolios. There are comments posted so far.